What Is the Teacher's Job When Teaching? Chapter 5. What Is the Teacher's Job When Teaching? Any school or district committed to the educational mission described in Chapter 1 would expect certain instructional and assessment practices from its teaching staff. Similarly, the type of curriculum and instructional activity described in Chapters 2 through 4 calls for particular roles from the people charged with its implementation. Accordingly, in this and the following chapter, we propose six key job functions for teachers working in understanding-based, performance-oriented schools. The need to define a teacher's job may strike readers as unnecessary. After all, aren't teachers hired to teach subjects and grade levels, mindful of the established standards for their state or province? Don't teachers sign a contract and undergo an annual performance evaluation? Yes, but . . . we contend that the lack of a more precise job description for teachers, along with concomitant expectations and appropriate appraisals, unwittingly interferes with desired school reforms. To state the problem more dramatically, we contend that many hardworking teachers actually harbor misunderstandings about what their job requires, and that many educational leaders unintentionally abet these misunderstandings by not confronting them or providing clearer expectations. In sum, there needs to be far greater clarity about a teacher's mission. Over the years, we have observed countless examples of teachers who, though industrious and well meaning, act in ways that suggest that they misunderstand their jobs. It may seem odd or even outrageous to say that many teachers misconceive their obligations. But we believe this is the case. Nor do we think this is surprising or an aspersion on the character or insight of teachers. We believe that teachers, in good faith, act on an inaccurate understanding of the role of “teacher” because they imitate what they experienced, and their supervisors rarely make clear that the job is to cause understanding, not merely to march through the curriculum and hope that some content will stick. So what is the job of a teacher? How are the job expectations made clear, and how are job requirements reflected in school life, supervision, and evaluation? In this chapter, we describe various roles for a teacher's work with students within a school or district committed to the mission of schooling we have proposed. (In the next two chapters we describe additional nonteaching job requirements and supervision.) We conclude by examining three potential job misunderstandings that can undermine the reforms we advocate. The word teach is unhelpfully ambiguous. It can refer to our all-encompassing job as educator in the broadest sense (we are all teachers). It can refer to different kinds of approaches (teach by questioning, teach by telling). And it can imply a range of purposes (inform, expand awareness, develop performance ability). It can even refer to isolated teacher behavior, irrespective of the results, as in the old joke, “I taught them, but they didn't learn.” So how should we best clarify the job of the teacher? Backward design suggests one answer. The teacher's role, behavior, and strategies must stem deliberately from established mission and goals, the curriculum, and agreed-upon learning principles. In other words, the particular approaches, methods, and resources employed are not primarily subjective “choices” or mere matters of style. They logically derive from the desired student accomplishments and our profession's understanding of the learning process. We teach to cause a result. Teaching is successful only if we cause learning related to purpose. Didactic/direct instruction. In this role, the teacher's primary goal is to inform the learners through explicit instruction—that is, telling and lecturing, supplemented by textbooks and demonstrations. Facilitation of understanding. Facilitative teaching seeks to help students “construct” meaning and come to an understanding of important ideas and processes. Teachers in this role guide student inquiries into complex problems, texts, cases, projects, or situations. Their principal methods are questioning, probing, and process-related commentary, with little or no direct instruction. Coaching performance. Coaching seeks to support the learners' ability to transfer their learning to succeed in complex and autonomous performances. The teacher/coach establishes clear performance goals and then supervises the development of skills and habits through ongoing opportunities to perform, accompanied by specific feedback and modeling. In Figure 5.1, we show how the three roles relate to examples of specific instructional methods and the concomitant learner actions for each. The implication should be clear from these categories: there is no one best teaching approach. Rather, the choice of a pedagogical method or a particular instructional move should be determined by what the desired results imply and thus what kind of help and experience the learners need. When the learning goal requires information cast in a helpful way, use didactic teaching approaches. When the goal is to ensure that ideas are understood and misconceptions overcome, facilitate student discussions and inquiries so that students come to see for themselves. When the aim is for the learners to transfer their knowledge and skills to new situations, then coach for the desired performances. Clearly, then, an effective teacher not only demonstrates skill in all three roles but also understands when they should be used, in what combinations, and for how long. That's the teacher's transfer task! The decision flows from mission and learning priorities. Yes, there are times when direct telling can be efficient and effective. However, when the learning goals highlight understanding and transfer performances (as we have stressed in this book), we would logically expect to see an emphasis in the classroom on facilitation of student inquiry and coaching toward transfer performance. So the endless quarrels about “which teaching method is best” miss the point entirely. There is no unqualified answer; there is no “politically correct” response. The question about how to teach always demands an “if, then” answer; it's completely dependent on desired results. So we must begin our thinking about any upcoming teaching with an essential question: Given the learning goals that have priority, what is the best use of inherently limited class time, in terms of “teacher” and “learner” roles? What should teachers and learners be doing inside class (and outside class) to best accomplish those aims? What form of interaction between learners, materials, and teacher—in what balance of time—offers the greatest likelihood of achieving the various explicit results related to mission? What are the highest-leverage actions we as educators can take to cause important changes in learners? These questions typically go begging in classrooms as habits take over. Let's look more closely at teaching as facilitation and as coaching to better understand these two roles and why they are so vital in teaching for understanding and transfer. In the Paideia framework, Adler proposes that, in addition to being a teller and a coach, a teacher can facilitate understanding through a (Socratic) seminar format in which great books and ideas are discussed collaboratively. During a seminar, the teacher plays the role of questioner, prober, devil's advocate, and includer. In this role, teachers rarely give their opinions but strive to evoke the thinking of the student participants. In addition to Socratic seminars, many other kinds of inductive, facilitated experiences have been used for years. Indeed, the case method in law, problem-based learning in the sciences and medicine, and the seminar in the humanities are time-honored approaches to facilitating learning for understanding. More generally, understanding requires proactive development and testing of ideas by the learner. Whether in responding to a text, an experience, a problem, or a case study, the students are charged with making meaning of deliberately ambiguous content and the open-ended questions involved. Practically speaking, students and teachers must all learn to recognize that when facilitation of understanding is taking place, conventional “teaching” and “learning” will be suspended. The teacher will continually have to make clear—via the design of inquiry and reference to appropriate rules and norms—that new and perhaps unfamiliar practices and roles will be governing the classroom experience. Here is a simple example of the kind of small but profound change in classroom dynamics that reflect facilitative teaching. All facilitators of seminars know that students have to be made conscious of their tendency to be passive, to constantly wait for the next “move” to come from the teacher. The most obvious indicator of this problem is what happens when a student contributes to a teacher-led discussion in a typical class: all eyes immediately and unconsciously go back to the teacher following a student's response. (Look for this in class visitations.) It is a deeply engrained habit: teachers and students fall into the trap of thinking that the teacher's job is to respond as a “teacher” to each student's comment. But this pattern is upended in a seminar, because the teacher's job is to encourage learners not to wait for teacher responses and to actively respond to the comments of fellow students. In other words, a facilitator's job is to bring people in and keep everyone questioning and responding. Over the long term, the teacher/facilitator is needed less and less because students become better at managing the process of collaborative inquiry on their own—what we like to call “intellectual Outward Bound.” But it takes discipline and explicit training to break the many common habits and familiar routines associated with “sit and get” learning. Hoping to make large classes more interactive, a growing number of professors on large campuses are requiring students to buy wireless, handheld transmitters that give teachers instant feedback on whether they understand the lesson—or whether they're even there. Use of the $36 device has exploded this fall at the University of Massachusetts, where faculty say class sizes are creeping up following $80 million in system-wide budget cuts. Close to 6,000 of the 17,500 undergraduates on the Amherst campus are required to have transmitters in classes this fall, compared with fewer than 500 two years ago, said Richard Rogers, an economics professor and adviser to the provost on the classroom experience. Consider the implication about learning in these examples. Whether in small seminars or large lectures, students are guided to actively process information and test their understanding rather than simply listening and taking notes. Facilitative teaching rests on the common belief that learners can develop understanding (even in large lecture courses) only by being asked to continually question and rethink their answers in light of feedback in order to make sense of ideas. This is not time “lost” from “teaching” but time well spent in causing learner understanding. Set up issues, problems, and investigations for inquiry and discussion. Model and encourage the use of strategies and habits of mind. Work to make themselves unneeded. Let's briefly examine each of these characteristics of facilitators. Set up issues, problems, and investigations for inquiry and discussion. A major goal of facilitation involves the development and deepening of student understanding. To this end, skillful facilitators select provocative issues to explore and debate, worthy texts to interpret, significant investigations to conduct, and challenging problems to tackle. With these intellectual challenges as the grist for understanding, the facilitator's job is to ensure that students generate, test, probe, and adjust ideas via peer feedback and salient results. Guide the learners in “making meaning.” The understandings of an expert simply cannot be passed on verbally. Thus, the learner's job is to actively try to construct meaning and make sense of things, and the facilitator's job is to assist this construction process. Refrain from excessive instruction. Thus, a facilitative role relocates the teacher from being only a “sage on the stage” to being a “guide on the side,” from mostly telling to eliciting the making of meaning and the testing of ideas. A facilitator moderates discussions and guides inquiry without being an intrusive or directive participant. Instead of giving talks and answers, facilitators question, clarify, and comment on process and the state of the inquiry. Model and encourage the use of strategies and habits of mind. The open-ended nature of inquiry-based learning can be unsettling, especially to dutiful students who have come to expect clear directions from the teacher. The facilitator also models and encourages the use of strategies and habits of mind when learners encounter difficulties in the course of their inquiry, answering questions such as these: What do you do when you don't understand the text? What strategies can help when you've hit the wall during problem solving? How do you respond when your best ideas are challenged? Encourage students to set personal learning/performance goals related to the overall desired results. Give students appropriate choices over the processes of learning (for example, working in groups versus working alone) and their products (for example, visual, verbal, written). Expect students to regularly self-assess their work and their progress toward explicit goals. Teach facilitation skills and allot time for students to apply them (for example, via student-led seminars or problem-solving groups). Adler's quote could not put the matter more starkly: the overly didactic “teacher” or designer of activities merely offers information and experience, but takes little self-conscious responsibility for ensuring that learners learn to be disciplined from the talk or activity, as reflected in learned action and accomplishment. In contrast, think about highly effective coaches you know or have known. (Note: Do not limit your thinking to athletic coaches. Consider other performance-based instructors such as band directors, drama coaches, and art teachers.) Now consider what they do and what they strive to accomplish, not what they are like as people—their “coaching” as opposed to their personal traits or style. How do they begin with their charges? How does the coaching unfold over time? What distinguishes their use of time and their work with learners in each session? How do they work effectively with large numbers of learners (such as an orchestra)? What do they do to focus everyone on quality work, regardless of ability level? What strategies do they use to guide and improve performance? Establish explicit performance targets clearly related to long-term transfer goals. Show models and exemplars for all goals. Design practice and assess progress backward from the ultimate transfer demands. Devote most time to having learners perform so the coach is freed up to coach. Personalize their coaching, mindful of individual profiles (ability and personality). Provide ongoing feedback and immediate opportunities to use it. Provide “just-in-time” instruction in small, focused doses. Adjust plans in light of unexpected or inappropriate results. Strive to make learners autonomous, thus making self-assessment and self-adjustment a key goal of teaching. Let's explore each of these coaching roles in more a bit more detail. Establish explicit performance targets clearly related to long-term transfer goals. Effective coaches ensure that everyone has clarity about the desired performance results. There is no mystery about what learners are trying to achieve or what “success” looks like. Thus, you rarely hear athletes or band members ask, “Why are we doing this?” or “What should my work look like?” Contrast this clarity with the experience of many students, who do not know the learning goals they are expected to attain, the ways in which their learning will be assessed, the instructional methods by which their learning will be supported, or their role as a learner in the process. Lack of clarity on any of these points can diminish student motivation and achievement. Show models and exemplars for all goals. If we seek exemplary performance, the learner must know what exemplary performance looks like. Recognizing this, effective coaches make the “invisible visible” through countless models and examples. The basketball coach shows videotapes of the games of championship teams so that players can see excellence in action. The yearbook sponsor has the staff review award-winning yearbooks from previous years and challenges them to produce a better one for their graduating class. Yet how many history teachers do you know who show students examples of experts' critical examinations of historical artifacts? How many teachers of science do you know who routinely distribute and discuss excellent laboratory reports before students begin their lab work? Design practice and assess progress backward from the ultimate transfer demands while providing multiple opportunities to learn and apply the same skill in context. The nature of “practice” distinguishes effective coaches of performance from teachers who ask students to merely complete drills. The coaches have their charges place emphasis on authentic performance in context, rather than focusing on discrete skills practiced in isolation. Coaches always focus the “sideline drills” on improving performance in the game. Consider the U.S. Soccer Federation (USSF) guidelines for coaching youth soccer. In each practice in which a specific skill is to be learned, a progression (derived backward from game performances) is used: (1) practice the technique; (2) practice the technique in game-related conditions (with token opposition in pairs, for example); (3) practice the skill in gamelike conditions (with more realistic complexity and opposition); and then (4) practice the skill under game conditions in a scrimmage in which the focus is on the skill being used. The mantra in soccer coaching is “The game is the best teacher. . . . Our coaching school instructors often talk about ‘specificity of training.’ They want to make certain that training accomplishes the objective of highlighting a skill or tactical factor in a way that is demanded by a real match” (Howe, 1999, p. 111). The federation's materials underscore the point: “The game will tell you what the team needs to practice. We say that the game and training have a reciprocal effect. The game indicates what we need to train for, and in training we prepare for the game” (Howe, 1999, p. 24). We contend that the same logic applies to academic areas in which transfer performances are also desired. Assess from the start to see where learners are and what the learning needs to focus on to accomplish goals. Athletic coaches, sponsors of extracurricular activities, and performance-based teachers (for example, in art and technology) recognize that before you begin teaching, you need to find out the knowledge and skill levels of the learners in light of goals. Indeed, coaches of all stripes routinely begin their “season” with diagnostic assessments, because it is crucial to get to know the strengths, desires, and needs of each player. Devote most time to having learners perform so the coach is freed up to coach. A coach doesn't merely teach learners how to perform. The essence of coaching is to set up conditions whereby learners must constantly try and display what they have (or have not) learned for a period of time, through self-sustaining activities, so that they can be coached. Ted Sizer (1984) suggests the same approach applied to academics: “The material of coaching is the student's work, in which skill is displayed for a teacher to assess, give feedback to, and give advice for improvement” (p. 41; emphasis added). This is a crucial distinction. The “teller” thinks the best use of class time is to share knowledge, cover content, inform the student. The “coach” thinks the best use of limited time is for the learner to try to learn and apply that learning in front of the coach, so that feedback and guidance can be given to improve performance. Too few teachers spend considerable time watching students try to perform and trying to “get into their heads as they work” (for example, by having learners think aloud while engaged in a task). In designing backward from transfer, we use class time primarily to better understand what happens when learners try to transfer, and we take effective steps to improve the methods and the transfer. Otherwise, any “teaching”—no matter how sound and clearly presented—remains abstract and unlikely to transfer into action. Effective coaches identify the positions and roles that play to the strengths of various team members without sacrificing common standards. The slow and heavyset boy has a place on the football team, as does the short and swift boy. We need flutes and tubas to round out the sound range in the orchestra. Prima donnas and shy stagehands work together to pull off a successful play. Not everyone has to learn the same skills in the same way to become competent on the field. Similarly, a key to personalization in the classroom is to ensure that we design complex “work” involving different roles for learners. In this regard, Carol Ann Tomlinson (1999), an expert in differentiated instruction, advises that learners need “respectful tasks” (p. 12) that both challenge them and allow them to work in ways that reflect their readiness levels, interests, and styles of learning. Given individual differences, a one-size-fits-all approach is unlikely to maximize performance for all—on the field or in the classroom. Provide ongoing feedback and immediate opportunities to use it. The mantra here is “less teaching, more formative assessing.” One of the authors was profoundly struck by an experience with his son that illustrates the power of ongoing feedback. We paid for a “pitching clinic” for Little Leaguers at a local college, hosted by its highly successful varsity baseball coach. We were there for five hours, but only about one hour was spent in formal teaching. The bulk of the clinic involved the young pitchers pitching and receiving feedback and advice as they did so from the coaching staff. The last activity involved looking at videotape of each youngster, quickly edited down during lunch by the staff to highlight strengths and weaknesses in each learner's performance, followed by a single personalized piece of advice by the coach. The boys were absolutely riveted, even when the focus was not on them. On the drive home, I asked, “So, what did you think of the clinic?” My son answered, “It was fantastic! That's the longest I have ever listened to adults without getting bored!” In addition to their attentiveness, it was clear that each boy improved, on the spot, and left charged up. How often can we say that about our students in school? Provide “just-in-time” instruction in small, focused doses. In a coaching context, the timing of direct instruction and focused practice is based on results. As soccer coaches say, “The game is the teacher.” Just-in-time teaching means we do not frontload lots of content out of context—what might be called “just-in-case” teaching, which leads to the amnesia that plagues so much of conventional education. If your goal is to learn how to cook, you would undoubtedly be frustrated if you were obliged to sit through 30 lectures about every aspect of cooking without ever setting foot in a kitchen and “doing” some cooking with guidance from an expert chef. Yet many courses make this mistake—to the detriment of engagement, as well as results. Adjust plans in light of unexpected or inappropriate results. A teacher's job is not to assume that learning is occurring, based on the teaching. The job is to ensure that learning occurs, and when it doesn't, to intervene decisively, quickly, and often. In other words, a key part of a teacher's job is to regularly assess and learn from the results as quickly as possible so as to make the necessary adjustments to improve learning. How many members of the secondary mathematics department say to one another in November, “Gee, we're 2 out of 6 in problem solving. What should we be doing differently?” How many primary-grade teachers say, “Gee, whatever our beliefs about reading, 14 of our kids cannot read, based on our current approach. What do their struggles tell us we should do differently? Are we on track to realize successful performance by May, and do we have sufficient evidence against end-of-year measures to know?” These are the kinds of questions that coaches regularly ask—and so should every teacher. Consider one direct implication of thinking like a coach: we would build flextime into each unit and the syllabus as a whole for the inevitable reteaching and relearning needed. In our experience, this is uncommon. In fact, many teachers overplan their lessons, leaving minimal built-in time for the unavoidable adjustments that will be needed to improve results. Strive to make learners autonomous, thus making self-assessment and self-adjustment a key goal of teaching. The best artists, writers, actors, and athletes are capable not only of being coached but also of internalizing the coaching. The ability to accurately self-assess and self-adjust is critical to maximizing performance, and the same principle applies to school learning. Research in cognitive psychology underscores this point: “Metacognition also includes self regulation—the ability to orchestrate one's learning: to plan, monitor success, and correct errors when appropriate—all necessary for effective learning” (Bransford et al., 1999, p. 85). Accordingly, effective coaches of performance deliberately engage students in reflecting on their performance. For example, regularly asking learners reflection questions—What worked well? Where are problem areas? How will you apply this feedback? What do you need to work on?—can help cultivate these reflective, metacognitive capacities. Set high standards, but design the work so that learners come to believe “I can do this!” Research on learning reveals important variables that have an impact on students' willingness to put forth effort and persist in demanding learning situations. Those variables include the following: the learner (1) clearly sees the learning goals and understands what is expected, (2) sees the content as relevant and useful to learn, (3) perceives that she is capable of succeeding at the learning tasks, and (4) feels accepted and supported by the teacher. What do students perceive themselves to be learning? We asked [them] to write down the most important thing learned in school subjects. . . . Most commonly students listed a fact or topic. . . . Noticeably absent were responses implying the realization of having acquired some intellectual power. . . . This commonsense finding is central to our thesis: work that is more authentic and performance based is inherently more engaging than typical seatwork. Given these various “moves” in effective coaching, let us conclude this section by considering a brief example. What would be a wise use of time in a class if we thought of ourselves as coaches of critical thinking in the transfer of content as opposed to just transmitters of content? Here is an example from the content-laden sphere of history. As a result of the ceaseless struggle of the colonial people for their political rights, the 13 colonies practiced bourgeois representative government by setting up their own local legislatures. As electoral rights were restricted in many ways in every colony, those elected to the colonial legislatures were mostly landlords, gentry, and agents of the bourgeoisie, without any representation whatsoever from the working people. There were struggles between the Governors and the legislatures. These struggles reflected the contradictions between the colonies and their suzerain state. . . . The British administration of the colonies was completely in the interests of the bourgeoisie in Britain. . . . The British colonial rule impeded development of the national economy in North America. It forced certain businesses into bankruptcy. As a consequence, contradictions became increasingly acute between the ruling clique in Britain and the rising bourgeoisie and broad masses of the people in the colonies. . . . The Declaration of Independence was a declaration of the bourgeois revolution. The political principles enunciated in it were aimed at protecting the system of capitalist exploitation, legitimizing the interests of the bourgeoisie. In practice, the “people” referred to in the Declaration only meant the bourgeoisie, and the “right of the pursuit of happiness” was deduced from the “right of property” and intended to stamp the mark of legitimacy on the system of bourgeois exploitation. The Declaration was signed by 56 persons, of whom 28 were bourgeois lawyers, 13 were big merchants, 8 were plantation slave owners and 7 were members of the free professions, but there was not one representative of the working people. During the time of the war, America began its westward expansion on a large scale. From the first, the colonies had been founded on the corpses of the Indians. . . . In 1779 George Washington sent John Sullivan with a force of soldiers to “annihilate” the Iroquois tribe settled in northern New York. In his instructions he wrote: “The present aim is to completely smash and flatten their settlement, take as many prisoners as possible, the more the better, whether they are men or women. . . . You must not only mop up their settlement but destroy it.” Thus at the time of its founding, America had already nakedly exposed its aggressive character. What, then, were the causes of the American Revolution? It used to be argued that the revolution was caused by the tyranny of the British government. This simple explanation is no longer acceptable. Historians now recognize that the British colonies were the freest in the world, and that their people had rights and liberties which were enjoyed in no other empire . . . the British government was guilty of a failure of understand the American situation. Now ask the following question: Given these two “stories” of the same events (the first is from a Chinese textbook; the second, from a Canadian textbook), how should the American Revolution be interpreted from a historical point of view? Where is each textbook account fair and justified, and where might it be biased? How should we best resolve the discrepancies? The skills of considering sources, analyzing arguments, and detecting bias would thus need to be taught and assessed. Indeed, such activities would be used throughout the course, given the express goal of cultivating critical thinking in history. Ultimately, students would be expected, on their own, to use the skills of critical analysis when reading documents as part of their final assessments. In the beginning, we would not assume that students could perform such a task. We would know that our key role is to coach them on how to do such tasks, through skill development and feedback. In sum, what distinguishes the “teacher as coach” from the “teacher as teller” and “teacher as activity provider” is the overarching commitment to assist with and study the student's attempt to learn and perform with understanding, to enable the student to perform autonomously “with” content, and to be continually confronted with challenges that require critical thinking. Emphasize facilitation when you seek conceptual understanding, the overcoming of misunderstandings, and student construction and testing of key ideas. Use coaching when you desire skilled, fluent, and self-disciplined transfer in performance, in response to feedback and advice. Offer direct instruction more on a “need to know” basis in light of clear performance goals and feedback from students' attempts to perform with their knowledge. As a rough rule of thumb, each approach gets about a third of the time in class. We opened the chapter with the proposition that despite good intentions and diligent efforts, some teachers harbor a fundamental misunderstanding of their job. 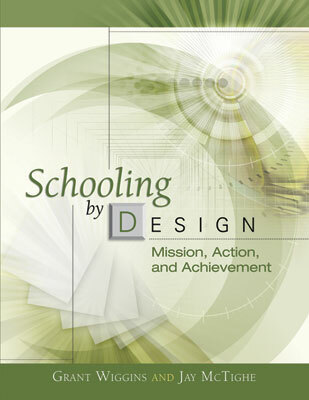 We now examine three such misunderstandings that, if left unchecked, are likely to undermine the mission of schooling by design. Teachers from kindergarten to graduate school wrestle with a common problem—too much content to teach and not enough time to teach it all. In theory, the standards movement promised a solution to the problem of “content overload” by identifying curricular priorities. Content standards were intended to specify what is most important for students to “know and be able to do,” thus providing a much-needed focus and prioritization for curriculum, instruction, and assessment. In practice, content standards committees at the national, state, and district levels often worked in isolation to produce overly ambitious lists of “essentials” for their disciplines. Rather than streamlining the curriculum, the plethora of standards and benchmarks contributed to the overload problem, especially at the elementary level, where teachers are charged with teaching standards and benchmarks in multiple subjects. The matter is further complicated by the propensity of teachers to focus on textbooks as the primary resource for addressing their obligations to the content. Here's a particularly sobering case in point that illustrates the belief that one's job is to cover a textbook. A high school principal asked each department chair to work with members of their departments to develop curriculum maps for each listed course. The intent was to encourage greater uniformity and coherence between and among course offerings. The staff was given the better part of the year to work on the maps. Toward the end of the year, the principal collected and reviewed the maps and was shocked when one department chair turned in photocopies of the tables of contents from the various course textbooks! The sobering part of the story lies in the fact that the department chair was not being rebellious. On the contrary, he and his colleagues actually believed that they were doing what the district expected. After all, they had met to carefully review prospective texts, and the district had invested considerable funds in the purchase of the recommended ones. Surely, they should be using them. The problem with textbooks lies in part with the propensity of educational publishers to try to “cover the waterfront” in order to appease state textbook adoption committees, national subject-area organizations, and various special interest groups. The result is often a superficial, “mile wide, inch deep” treatment of subject-matter knowledge. Nonetheless, the de facto job requirement of teaching to content standards raises an important question regarding the fit between state content standards and a nationally marketed textbook or commercial resource. Consider the exercise that asks teachers to review their textbook against state or district content standards to determine the degree of correlation and then to select the illustration in Figure 5.2 that best represents that relationship. The point of the exercise is straightforward: in the absence of a perfect correlation (illustration 4), the textbook, at best, should serve as one resource to support learning the standards. Illustrations 2 and 3 suggest that a portion of the textbook's content does not contribute to learning the standards (and thus will not need to be covered), but that other resources will be needed. Interestingly, when teachers maintain that they are required to march through texts and syllabi (irrespective of the degree of student understanding or the learning results), they often cite external pressures from supervisors. Yet we have never been able to trace such reports to the administrative source, nor have we found a supervisor who claimed to have issued such an edict. Moreover, we have never seen a teacher's contract in North America that specifies that a teacher's job is to “cover a textbook.” But don't we all know teachers who act as if that is their job, and who resist any suggestions to the contrary? Simply put, it is a misunderstanding to claim that one's job is to teach the textbook. The textbook is a reference book. Its purpose—like that of an encyclopedia—is to summarize knowledge. Treating the textbook as the syllabus is akin to marching through the encyclopedia from A to Z. Logical and efficient? Yes. Purposeful, coherent, and effective? Questionable. Regardless of whether a teacher relies on textbooks, the perceived need to “cover” content is problematic, as a closer examination of the term reveals. The two most common meanings of the term cover—to “conceal” (as in cover up) or to “skim the surface” (like a bedspread)—seem at odds with teaching for understanding and transfer. Indeed, if our intent is to cover more content, we can accomplish this by talking faster in class! But “teaching by mentioning” is unlikely to ensure that students know, much less understand, the key ideas and core processes of the subject. A superficial and disconnected teaching of information simply cannot yield optimal results. What, then, is the job of a teacher, if not to cover content? Our contention is straightforward: a teacher's job is to cause understanding, as reflected in worthy accomplishments. That requires facilitating the learners' insights and coaching them to transfer their knowledge and skill, as reflected in significant performances involving such transfer. Toward these ends, the content and “professing” serve as means and the textbook serves as a resource, but not the syllabus! Teachers who harbor this belief do not feel bound to the textbook. Indeed, many of them disdain the coverage mentality and pride themselves on getting away from the book to make learning more interesting. To this end, they develop (or find) interesting activities and projects for learners. Although we applaud the aim, we have observed numerous cases of well-intentioned teachers who get lost in the activities and lose sight of purpose as well as results. Certainly, this unit has many positive aspects, including its interdisciplinary connections, active student engagement, and parental involvement. The students had access to a variety of resources, including relevant literature, historical artifacts, and guest speakers. They had the opportunity to conduct research from primary and secondary sources and to develop tangible products and performances. Unquestionably, the teachers worked collaboratively, putting in many hours to orchestrate the various activities. Clearly, the students learned things, including information about the Victorian period, social skills, flower arranging, and how to waltz. They will likely remember the Victorian Tea experience with fondness. Nonetheless, despite some worthwhile learning and positive feelings, one must step back and question whether the “juice is worth the squeeze.” Here are critical questions to consider for this or any “activity-oriented” experience: Are the learning outcomes clearly identified and embodied in the work? Do they reflect important enduring outcomes (big ideas in the disciplines) or simply things that are “nice to know”? Do the students know the intended learning results and spend time processing the activities in terms of those goals? Can the students explain the purpose behind the various activities? Do we have appropriate evidence of learning important ideas and skills? Have students shown that they understand and can transfer what they have learned in meaningful ways? Were the time and energy devoted to the activities commensurate with the resultant learning and a wise use of time given all the other obligations? If the answer to such questions is no, then one has a professional obligation to question the purpose behind the activities and to eliminate or adjust those that are lacking. To be clear, we are certainly not opposed to trying to engage students. Rather, our critique centers on lack of purposefulness. When are students most engaged and effective, in and out of school? What factors make these activities so engaging and effective? Allow student choice of product and/or process. Offer opportunity to personalize the task/challenge. Offer opportunities to work in collaboration with others. Are built upon real-world situations or meaningful challenges. Use interactive approaches such as case studies, mock trial, group investigation. Involve real or simulated audiences. They are focused on clear and worthy goals. The students understand the purpose of, and rationale for, the work. Clear, public criteria and models allow the students to accurately monitor their progress. There is limited fear and maximal incentive to try hard, take risks, and learn from mistakes without unfair penalty. Ideas and skills are made concrete and real through activities linking students' experiences to the world beyond the classroom. There are many opportunities to self-assess and self-adjust based on feedback. The teacher serves as a coach and facilitator to help the learner succeed. Finally, the two groups share their respective lists, and the entire group is asked to identify the common elements found on both lists. In other words, when are learning activities both highly engaging and effective? The mixture is revealing: many of the traits that are at the heart of engagement enhance effectiveness, and vice versa (for example, genuine, hands-on, real-world problems; opportunities to “do” early and often; getting feedback along the way). The resulting synthesis list becomes a set of criteria by which teachers can evaluate existing activities (such as the Victorian Tea). Because the list has been locally constructed, derived from people's own learning and teaching experiences, teachers are more likely to see it as credible. Such a list then serves as a common touchstone by which they can examine and, when necessary, improve all learning activities. Once again, this second misunderstanding should be obvious. Despite teachers' good intentions and hard work, activities must always be seen as a means to important learning ends, not ends in themselves. In sum, a teacher's job is to engage students in purposeful activities that are both engaging and effective. State and provincial content standards and concomitant testing programs have emerged during the past decade with the intention of focusing local curriculum and instruction and boosting student achievement by holding schools accountable for results. Ironically, the key lever in this standards-based reform strategy—the use of high-stakes accountability tests—has unwittingly led to a misconception on the part of some teachers—namely, that their job is to teach to the test. This view is understandable given the unrelenting pressures to “get the scores up” and meet the Annual Yearly Progress (AYP) requirements. Although seeking improved performance on standardized achievement measures is not inherently wrong, the misunderstanding lies with how to best achieve that aim. We have observed many teachers (often at the behest of administrators) who have redirected their instruction toward the format of their state or provincial test. In the worst cases, the curriculum has morphed into a test-prep regimen of practicing testlike items and learning test-taking strategies. Although it is certainly true that teachers are obligated to teach to established standards, it does not follow that the best way to meet those standards is to mimic the format of the state or provincial test and to cover prescribed content via superficial, multiple-choice teaching. Must we sacrifice more effective and engaging forms of instruction to raise test scores? Is more passive and fragmented teaching more or less likely to maximize student interest and performance? Do we have to teach worse to get higher test scores? We think that the problem reflects an underlying misunderstanding about how testing works, how validity is established, and how learning is maximized. To expose the flaw in this reasoning, consider an analogy. Once a year, we go to the doctor for a physical exam. No one particularly relishes the thought of such an exam, but we go with the understanding that it is in our long-term interest to get an objective (yet superficial) measure of our health. The doctor performs a few tests in a short span of time (blood pressure, pulse, temperature, blood work to measure cholesterol). The “physical” is a small sample of tests, yielding a few useful indicators of one's health status. Its validity and value stem from the fact that the results suggest our state of health, not because the physical defines healthfulness. We take a relatively quick and nonintrusive physical exam so that various “indicators” can be examined for signs of any deeper trouble demanding further scrutiny. Note that none of the elements of true healthfulness—diet, fitness regimen, or stress management—is directly tested in the physical. Doctors use indirect indicators, such as blood pressure, weight, skin tone and color, and cholesterol levels, to gauge our health status. The indicators are correlational, not causal. In other words, the effects of our healthful regimen will be reflected in the test indicators. In fact, the more we concentrate only on what is on the physical exam, the less likely it is in the long run that we will be healthy. People would think it silly to practice a physical exam as a way to be healthy. But this confusion is precisely what we see in schools all over North America. Local educators, fearful of the consequences of poor results or failure to show gains, focus on the indicators, not their causes. The format of the test misleads us, in other words. Please understand that this explanation does not constitute an endorsement of current standardized-testing practices that rely too heavily on one-shot external testing. In fact, we feel strongly that state agencies and policymakers bear a responsibility for allowing this confusion to persist by not making local assessments a part of a comprehensive state accountability system. What matters most in educational reform is that we take to heart the point of the analogy: we—not the state—are responsible for wellness. The state's job is to audit. Just as the physical exam is not the regimen we should engage in at home, but rather is a set of superficial indicators to see if our regimen is adequate, the state test does not try to duplicate all the “healthful” activities and assessments that should be taking place day in and day out at the local level in classrooms, schools, and districts. Indeed, the state could not possibly assess everything of value in an authentic way, even if we all wanted that to occur, because of excessive costs and the desire to limit the intrusions of external testing. This is true for doctors, too: to require all patients to come in for several days of comprehensive tests at a medical lab would be excessively time-consuming and costly (never mind expecting our insurers to foot the bill). “Are you then saying that a more concerted effort to ‘teach to the test’ lowers scores?” No. Teaching to the test clearly has some effect, particularly if before such practice there was little attention to common standards and a focus on results. Scores do increase in the short run when a school or district focuses more carefully on a common goal. No surprise here: greater attention to an outcome will improve performance on any measure. But once the test particulars are figured out and students have become familiar with the test format and test-taking skills, long-term progress rarely occurs, and the scores typically drop when the test is altered or renormed. It appears to us that educators are confused by the lack of “face validity” of the tests into assuming that teachers must mimic the test format. Worse, they wrongly infer that their own instruction should focus on a superficial survey of content and decontextualized treatment of facts and skills, as suggested by the test's construction. A related misunderstanding lies in the view that external test scores determine educational success. Without debating the merits and demerits of particular tests, we are saying what should be more obvious than it is: the test score is not the end; good test scores do not signal “mission accomplished.” Test scores are indicators in relation to some of our goals. Few state standards and tests even attempt to address all worthy educational goals, such as those related to character, study skills, the arts, employability, and lifelong learning. It is perhaps leadership's greatest challenge in the new world of standards and accountability to help staff understand that their job is to focus on mission-critical results and not fixate on the once-a-year audit of indicators. In sum, we are not saying “do not concern yourself with tests.” Rather, we propose that the best way to raise test scores over the long haul is to (1) teach the key ideas and processes contained in content standards (the content that is purportedly tested) in rich and engaging ways, (2) collect evidence of student understanding and transferability of that content via robust local assessments, and (3) raise the standards and quality control for local assignments and assessments to gather evidence of all that we value, not just what is easiest to measure. Thus, a teacher's job description needs to be derived by working backward from the stated mission and goals. As a teacher, we must ask, in a backward-design way, what kinds of learning accomplishments are sought? What should be our role as a teacher in that learning situation, given the desired results? If the mission calls for developing student understanding leading to genuine transfer performances, not simply knowledge acquisition, then our job as teachers is dictated by those aims. In this chapter, we examined the job of teachers when they are teaching—when they are with students. In Chapter 6 we turn our attention to the important noninstructional roles that are part of a teacher's job. Ask teachers to write a summary of their job description as they perceive it. Collect, review, and discuss these at a team or faculty meeting. What patterns are evident? What staff misunderstandings are revealed? What important job functions are missing? Review an existing job description for teachers. Does it include specific job responsibilities and performance indicators? Does it explicitly call for the kinds of functions described in the second part of this chapter? What changes or clarifications are needed? Review the current teacher evaluation process. To what extent is the current appraisal system in sync with expected job functions? What does the current process signal to staff about what really matters? What changes or clarifications are needed? Conduct the textbook/standards analysis exercise shown in Figure 5.2. What patterns were found? Discuss the implications of the results. Review the current hiring process. How are teacher applicants evaluated? What do prospective teachers believe the job to be? What does the current hiring protocol signal about expected job functions? What changes or clarifications are needed? Review the current teacher induction program. What do beginning teachers believe their jobs to be? To what extent is the content of the induction program in line with expected job functions? What changes or clarifications are needed? Use the “Effective/Engaging” exercise described on pages 149 to 150 at a faculty meeting or inservice session. Discuss the resulting list and its implications. Ask teachers to plan specific actions to revise or eliminate activities that are not both effective and engaging. Show the chart of the three teaching roles (Figure 5.1) and facilitate a staff discussion of how current instructional practices fit into these categories. What patterns are noted within and across subjects and grades? Review the school's mission and goals. Do the teaching methods align with the mission and goals? Create a Job Responsibilities chart with two columns. Label one column “Individual Autonomy”; the other, “Collective Responsibility.” Have staff complete the chart to gauge how they see the two categories. Then share and discuss as a faculty or team in order to clarify the distinctions.